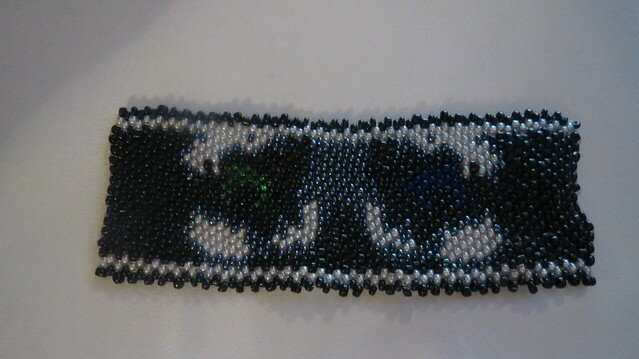 This bead-work was done by my middle daughter it started out as a gift for a friend who likes wolves it was to be a bracelet. 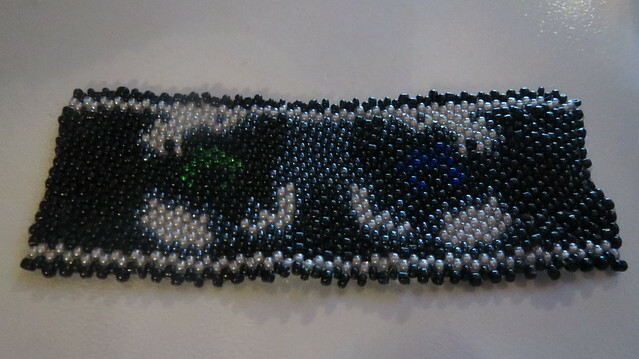 During the course of her making it she discovered that the gray beads she was using had been painted. Which is never good because paint always chips off and the color underneath is not the color you wanted just in making the piece it was already starting to chip so that would never do who wants a wolf that is spotted pink , purple and green where it should be gray. 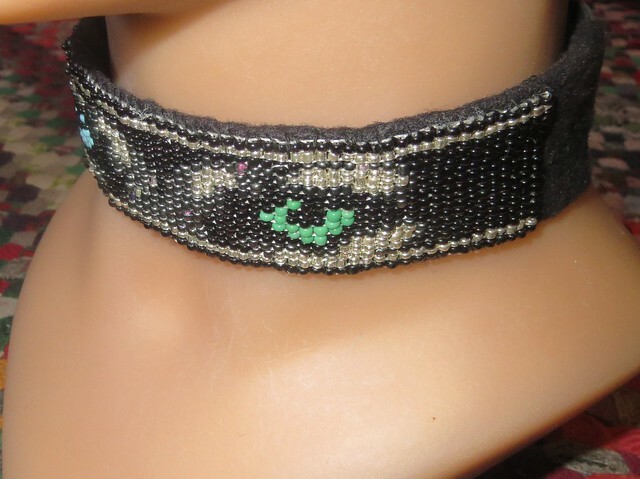 The beads under the gray paint were pink and purple and green. If you look at the photo below you can see above and to the left of the green eye a pink bed yep it use to be gray. 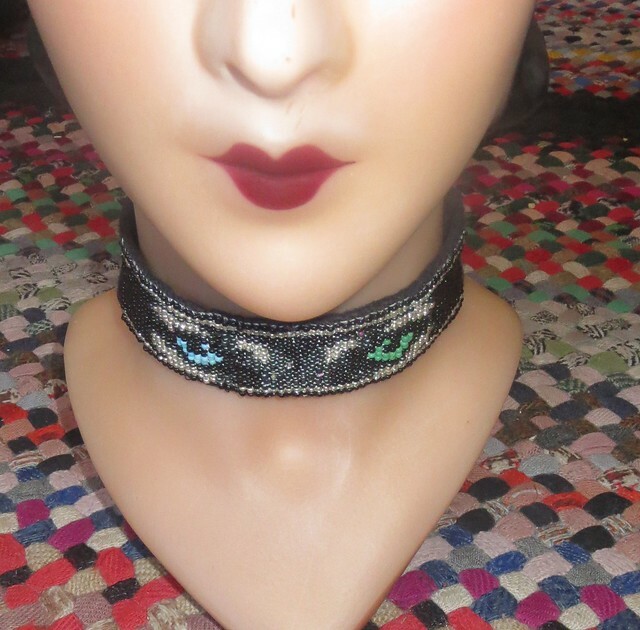 So I took a leather bracelet band and cut it in half and sewed felt to it and placed the bead-work on the felt she can now wear it as a chocker and when it chips well that is how it goes. 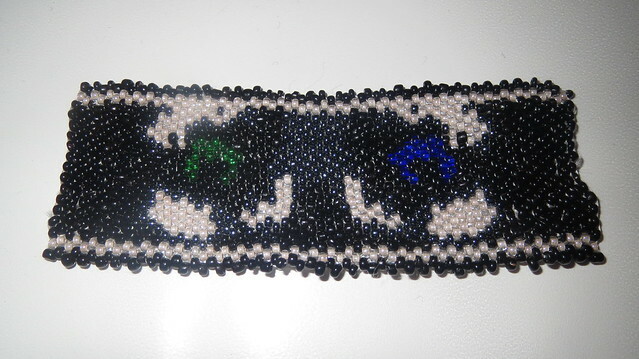 This piece was woven on a bead loom. 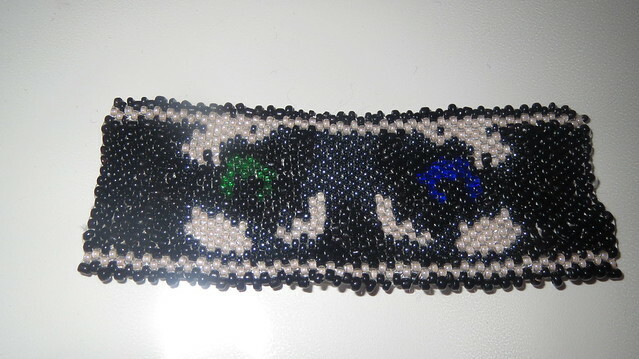 She has started over again doing this using different beads and using peyote stitch instead of a bead loom to make the bracelet. 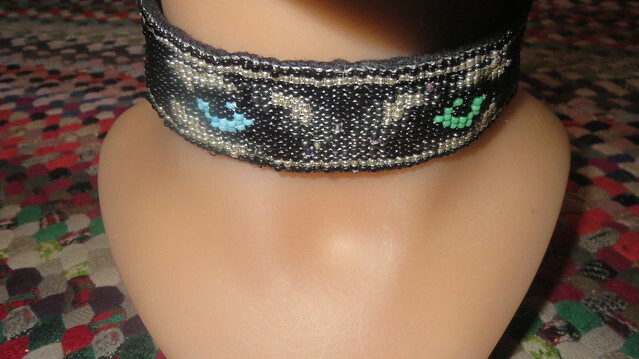 Which will also be on a leather bracelet. 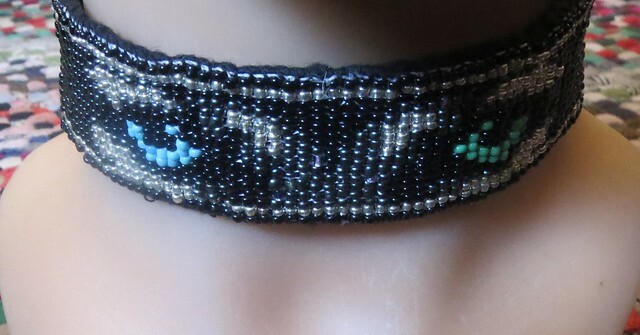 Attempt number 2 did not fair much better she was using some of my more expensive beads but I did not have the right shades of blue and green so without a flash on you can not see the blue. Also with the flash on you loose the gray and black difference. Without a flash you can see the gray and black difference but the blue disappears so back to the drawing board for a third time. I was teaching her that stitch as she has never used it before. Her next attempt will be off loom square stitch she gets to learn something new again. I know this is old but I would be potentially interested in purchasing one if you are both still doing these.